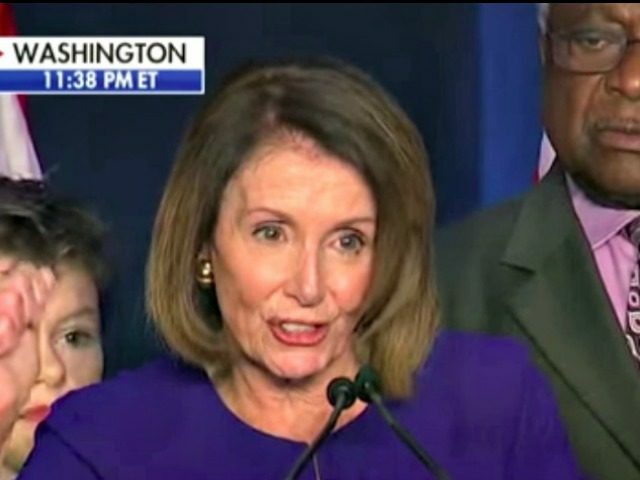 After it was announced that Democrats would take back control of the United States House of Representatives, Nancy Pelosi spoke out to congratulate her colleagues and commend the DNC chair. Pelosi then touted her initiative to assist those with pre-existing conditions. “Let’s hear more for pre-existing medical conditions,” Nancy Pelosi said to a roar of applause. Pelosi then vowed to lead with honesty. Pelosi also made it clear that Democrats would keep a close eye on President Trump as she noted division in the country. “Thank you all for making the future better for all of America’s children. God bless you. God Bless America. Thank you all very much,” Pelosi said as she concluded her speech.